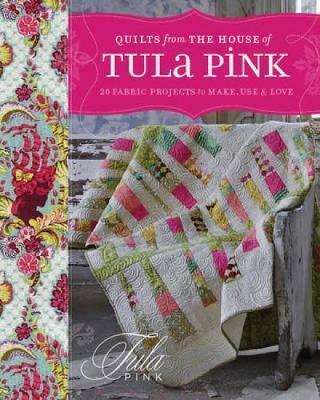 Tula Pink designed her first fabric collection in her living room in L.A., after work and on weekends. The day she left her job in L.A., she sent her collection to Moda Fabrics and by the time she got to Albuquerque, it was in production. Tula was a Senior Designer with Moda, as well as having her own design label with them, producing the incredibly popular Neptune and Plume collections among others. She currently works with Free Spirit and received rave reviews on her recent Parisville and Prince Charming lines. Her fabrics are designed not just for quilting, but for a whole lifestyle of DIY-ers.